Get outdoors at Scuba & Snorkeling and Parque Los Fundadores. Eschew the tourist crowds and head to Yal-ku Lagoon and Aktun Chen. 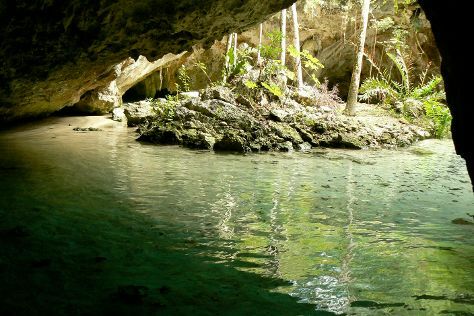 Explore Tulum's surroundings by going to Shark Diving (in Akumal) and La Playa Xpuha (in Playa del Carmen). There's much more to do: explore the fascinating underground world of Sac Actun, identify plant and animal life at LabnaHa Cenotes & Eco Park, get a taste of the local shopping with MiNiAtUrE art Gallery, and shake up your sightseeing with a climbing tour. To find maps, photos, and other tourist information, go to the Tulum trip itinerary maker. Newark, USA to Tulum is an approximately 11.5-hour flight. Expect a bit warmer weather when traveling from Newark in April: highs in Tulum hover around 83°F, while lows dip to 68°F. 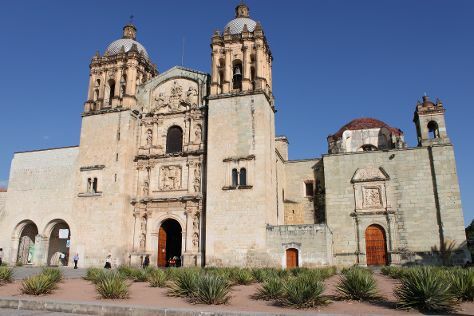 On the 2nd (Tue), you'll have the morning to explore before heading off to Oaxaca. Start off your visit on the 3rd (Wed): delve into the distant past at Mitla, then take in nature's colorful creations at Ethnobotanical Garden, then examine the collection at Museo de las Culturas de Oaxaca, and finally take in the spiritual surroundings of Templo de Santo Domingo de Guzman. On your second day here, take in the spiritual surroundings of Basilica de la Soledad, don't miss a visit to Zocalo, and then browse the eclectic array of goods at Benito Juarez Market (Mercado de Benito Juarez). For other places to visit, maps, reviews, and other tourist information, use the Oaxaca itinerary builder. You can fly from Tulum to Oaxaca in 7.5 hours. Other options are to drive; or take a bus. The time zone changes from Eastern Standard Time (EST) to Central Standard Time (CST), which is usually a -1 hour difference. Traveling from Tulum in May, plan for slightly colder nights in Oaxaca, with lows around 60°F. On the 4th (Thu), wrap the sightseeing up by early afternoon so you can drive to Huatulco. On the 5th (Fri), kick back and relax at Playa Entrega, admire all the interesting features of La Crucecita, and then stop by Maica Silver & Contemporary Bijoux. Get ready for a full day of sightseeing on the next day: explore the activities along Huatulco Bay and then contemplate the waterfront views at Playa San Augustin. To see photos, other places to visit, more things to do, and tourist information, read our Huatulco trip builder. Drive from Oaxaca to Huatulco in 4.5 hours. Alternatively, you can take a bus. 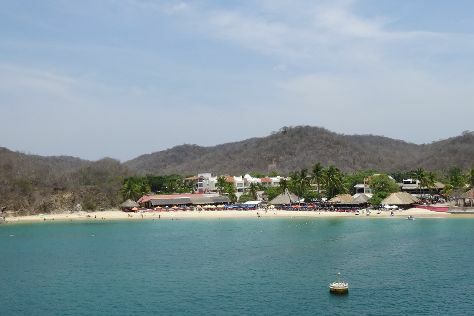 Plan for somewhat warmer nights when traveling from Oaxaca in May since evenings lows in Huatulco dip to 76°F. Cap off your sightseeing on the 7th (Sun) early enough to catcht the bus to Puerto Escondido. Puerto Escondido is a small port and tourist center in the municipality of San Pedro Mixtepec Distrito 22 in the Mexican state of Oaxaca. Explore hidden gems such as Playa Zicatela and Laguna de Manialtepec. Your itinerary includes some good beach time at Playa Carrizalillo and Puerto Angelito. And it doesn't end there: enjoy the sand and surf at Playa Bacocho, tour the pleasant surroundings at Playa Coral, and browse the eclectic array of goods at El Mercado. For other places to visit, ratings, maps, and tourist information, read our Puerto Escondido trip itinerary planner. Traveling by bus from Huatulco to Puerto Escondido takes 2 hours. Alternatively, you can drive. 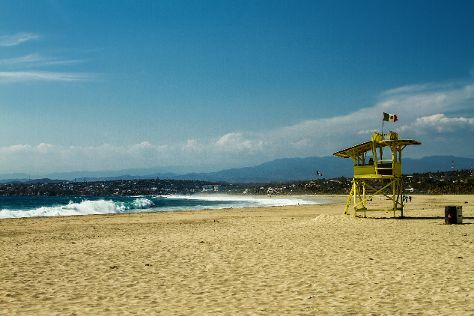 In May, daytime highs in Puerto Escondido are 86°F, while nighttime lows are 78°F. Finish your sightseeing early on the 9th (Tue) to allow enough time to travel to Mexico City. Start off your visit on the 10th (Wed): delve into the distant past at Templo Mayor Museum, take in the spiritual surroundings of Basilica de Santa Maria de Guadalupe, then browse the exhibits of Zona Arqueologica Teotihuacan, then admire the striking features of Metropolitan Cathedral (Catedral Metropolitana), and finally appreciate the extensive heritage of Zocalo. Here are some ideas for day two: don't miss a visit to Inmobiliaria Paseo de la Reforma, explore the striking landscape of Chapultepec Park, and then steep yourself in history at Historic Center (Centro Historico). To see other places to visit, reviews, where to stay, and tourist information, read Mexico City trip itinerary planner. Traveling by flight from Puerto Escondido to Mexico City takes 2.5 hours. Alternatively, you can drive; or take a bus. When traveling from Puerto Escondido in May, plan for a bit cooler days and cooler nights in Mexico City: temperatures range from 79°F by day to 56°F at night. On the 12th (Fri), you'll have the morning to explore before heading back home.